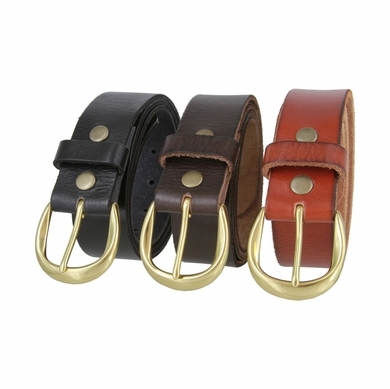 Women's Genuine Full Grain Casual Leather Belt. 1-1/2" = 38mm wide Vintage Distressed Full Grain Leather. Comes with a Gorgeous Round Solid Brass Buckle.